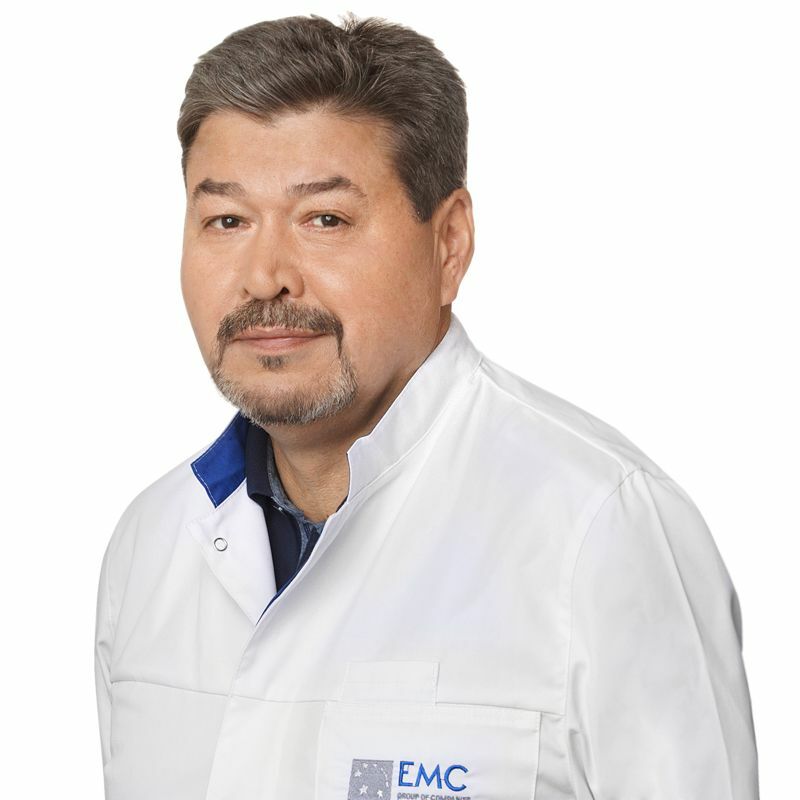 GORBUNOV Andrey, Doctor EMC. Make an appointment, ask a question. Graduated from Moscow Institute of Medicine and Dentistry named after N.A. Semashko in the specialty of General medicine and completed his internship and fellowship in the specialty “Obstetrics and Gynecology” at the First Moscow State Medical University n.a. I.M. Sechenov. He defended her thesis on fetal-placental perfusion assessment using Doppler velocimetry in fetal growth retardation syndrome. In 2017 he completed the training program of La Muette Clinic, Paris, in the following areas: modern technologies in obstetrics; safe anesthesia in childbirth; emergency obstetric care (hemorrhage, eclampsia, emergency cesarean section); surgical methods of delivery (caesarean section according to Stark, vacuum extraction), early rehabilitation after cesarean section; protocols for the management of labor with a uterine scar, with intrauterine growth restriction; labor induction; the tactics of conducting preterm labor, preparation of the cervix in preterm labor and a prolonged labor. Doctor Gorbunov annually participates in international conferences and workshops on obstetrics, gynecology and perinatology. He is one of the leading obstetricians of Moscow. His general professional experience is 37 years. From 1980 to 1985, he was a leading obstetrician-gynecologist of Maternity hospital at Moscow City Clinical Hospital №70. He had been working as obstetrician-gynecologist and Head of obstetric department of Maternity hospital at Moscow State Clinical Hospital №7. For 24 years he worked as an obstetrician-gynecologist and head of the family Department of the maternity hospital at Moscow City Clinical Hospital №7 in Moscow. Extensive clinical experience gained over the years of work at the obstetric department, allow the doctor to provide qualified care for patients with various pregnancy complications. Doctor Gorbunov has extensive experience in labor management in patients with cardiovascular diseases, urogenital diseases, uterine fibroids; brilliantly skilled in surgical methods and performs all types of caesarean sections, as well as organ-sparing surgeries for gynecological diseases. Doctor’s professional interests also include pregnancy loss treatment, prenatal and intrapartum evaluation of functional state in fetus, psychological preparation of women for childbirth, postpartum rehabilitation. He made a significant contribution to the development of ultrasonic diagnosis of fetal growth retardation syndrome. He devoted more than 7 years for educational research activities at the Department of obstetrics and gynecology of MMA named after I. M. Sechenov. He is the author of more than 30 scientific publications in obstetrics and gynecology. Doctor Gorbunov is a member of the Moscow society of obstetricians and gynecologists, the Russian society of obstetricians-gynecologists.